Well, after all of the left-wing websites and their readers’ hate-mail attacking me for pointing out Barack Obama’s Muslim background, in “Barack Hussein Obama: Once a Muslim, Always a Muslim,” I wonder if they will now attack their little darling, Hillary Clinton, who is now pursuing the legitimate questions I first asked on this site. Are the American people ready for an elected president who was educated in a Madrassa as a young boy and has not been forthcoming about his Muslim heritage? This is the question Sen. Hillary Rodham Clinton’s camp is asking about Sen. Barack Obama. An investigation of Mr. Obama by political opponents within the Democratic Party has discovered that Mr. Obama was raised as a Muslim by his stepfather in Indonesia. Sources close to the background check, which has not yet been released, said Mr. Obama, 45, spent at least four years in a so-called Madrassa, or Muslim seminary, in Indonesia. When contacted by Insight, Mr. Obama’s press secretary said he would consult with “his boss” and call back. He did not. Sources said the background check, conducted by researchers connected to Senator Clinton, disclosed details of Mr. Obama’s Muslim past. The sources said the Clinton camp concluded the Illinois Democrat concealed his prior Muslim faith and education. The sources said the young Obama was given the name Hussein by his Muslim father, which the Illinois Democrat rarely uses in public. His father was black and came from Kenya. Mr. Obama’s mother, the daughter of a farmer, came from Wichita, Kansas. Mr. Obama’s parents divorced when he was two years old. His father returned to Kenya. Later, Mr. Obama’s mother married an Indonesian student and the family moved to Jakarta. . . . The sources said the background check concerned Mr. Obama’s years in Jakarta. In Indonesia, the young Obama was enrolled in a Madrassa and was raised and educated as a Muslim. Although Indonesia is regarded as a moderate Muslim state, the U.S. intelligence community has determined that today most of these schools are financed by the Saudi Arabian government and they teach a Wahhabi doctrine that denies the rights of non-Muslims. Although the background check has not confirmed that the specific Madrassa Mr. Obama attended was espousing Wahhabism, the sources said his Democratic opponents believe this to be the case‚Äîand are seeking to prove it. 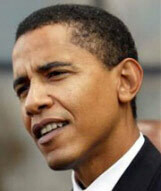 The sources said the opponents are searching for evidence that Mr. Obama is still a Muslim or has ties to Islam. Mr. Obama attends services at Trinity United Church of Christ in Chicago’s South Side. However, he is not known to be a regular parishioner. The sources said Mr. Obama spent at least four years in a Muslim school in Indonesia. They said when Mr. Obama was 10, his mother and her second husband separated. She and her son returned to Hawaii. “Then the official biography begins,” the source said. Barack Obama very conspicuously omits these important facts. He’s never directly addressed them and didn’t return the Insight Magazine’s reporters queries about his Muslim background. Why? Why can’t he acknowledge his Muslim background and disavow it? Don’t watch for him ever to do that. And that’s why it’s suspicious. The facts about Obama’s Muslim background raise a LOT of questions. Legitimate questions about a religion dominated by extremist strains that openly call for the destruction of America and the West. Anyone who does not want to look into the questions and, instead, attacks those who ask them, is equally suspect in their intentions and attitudes toward the continued freedom of this country. Why doesn’t Osama Obama come out and publicly state that, although he was brought up as a muzlum and studied at the mad madrassas, he is not a muzlum? He should declare when he became an alleged Christian, and that he does not subscribe to the teachings of the mad “profit”. I don’t think he’ll do it because he’ll get caught up in yet another lie. He lied about the origin of his name, and he lied at the DNC Convention when he said his father was a non-practicing protestant. BTW, he reminds me of a younger version of Calypso Louie. A nice smile with an intelligent conversation. Well educated and well adjusted to American culture. It’s the lies hiding deep in his heart and the knife hiding behind him that we must be concerned about. Killing you with a smile using a weapon or using constitutional law is no different. Beware of wolves in sheep’s clothing. If you think otherwise, than they probably will hit your home first. Osama Obama is the Mecca Manchurian Candidate. Debbie’s right. Islam is a religion dominated by extremist strains. The Popes of Islam are Osama Bin Laden and Louis Farrakhan. All of you who think Debbie is “over the top” once again, or waxing hysterical should think again. I have read all the usual about the Muslim religion starting with Bernard Lewis and the violence of that entire religion cannot be denied, nor can the insututionalized hatred for non-Muslims. The establishment of Shria law everywhere is the goal of all Muslims. I recently began reading Bob Spencer’s “Politically Incorrect Guide to Islam” which I suggest all of you pick up. He lays it all out there so anyone can understand. Muslims are a danger to the very fabric of our society. They hate freedom. They view our Constitution as a threat to their religion. Having said all that it is also possible that Obama is in no way tainted with the religion. Question is: why has he been lying about it? What an interesting dichotomy for the Democratic party; always so loathe to offend others–especially Muslims–yet desperate to cast Mr. Obama as a ‘gasp’ Muslim. Islam is, first and foremost, a totalitarian theocracy driven by an Arab supremacist ideology. Its core principals are incompatible with the notion of Western democracy in general, and the U.S. Constitution in particular. One can only hope that Republicans will exhibit similar desperation; and guts. Someone said that when you go against the Clintons you’d better keep your head on a swivel, because it’s like going across the middle against Ronnie Lott. That said, he should talk about his madrassa years honestly. Most of us don’t really retain that much indoctrination from the ages of 6 to 10, and if that’s the case, he should say it. However, if he was a Muslim and is not now, he’s got a major problem on his hands, because he’s an apostate, and we all know what that means (although, as I understand it, if your father is a Muslim, so are you). The reason why he doesn’t come out and say he left islam and denounces islam is because he knows there will be a fatwa put out on his head. islam says anbody who leaves islam must be killed. Simple as that. He could be engaging in Taqiyyah, which is tactical dissimilitude about beliefs. As Bob Marley’s music can attest—long BEFORE the Reichstag fires at the World Trade Center occured, MOST of the “third” world had considered the white man the DEVIL—ESPECIALLY the white AmeriKKKlan!!! The knock on Barak STINKS of the papist conspiracy beliefs that killed BOTH Kennedys…and Hitlery seems to be showing HER true colours now. Looks like the Governator SHOULD be in the race now…ARNOLD—you & Nancy P could be like the New England Patriots of politricks…let’s get that archaic *born in the USA* law off the books NOW!!! Because of the times, Obama had good reasons to downplay his Islamic upbringing. But like many of you posted, he should now come clean. Personally, I think he should sit this one out and get some more experience in the Senate. Hussein Obama campaigned as a Christian and attended predominately black churches in his run for the Senate. He also constantly makes mention of the need to be have Christians enter the big tent of the Democratic party. He NEVER mentioned his muslim ties in his campaign. He basically ran unopposed because his opponent Ryan, who was favored to win the Senate seat originally (before Obama mania was invented by Oprah and the media), was removed from the race by the Chicago Tribune suing to uncover his divorce records and then feeding on them. The divorce records contained allegations of unusual sexual requests that Ryan made of his WIFE that involved no third parties. Obama’s wife makes a huge salary (high six figures) from Chicago Hospitals as their social director or some such title for doing little or no work. She also makes a great deal of money serving on boards of Chicago companies which includes salaries and stock options. Barack got a large portion of his personal residence and land paid for (in a clever way) by a Democratic operative who is now under indictment. So why are we all suprised at the fact that Barack has not been completly honest with us? First of all he is a politician. Nuff said there. Second of all the Muslim faith says it is right to lie and decieve so long as allah’s agenda is advanced. He is a “sheep in wolfs clothing” as another commentor suggested. Problem is, he is just one of many we are allowing into the fold. Just another one of the enemy within. It’s time to wake up America!! I can anticipate Obama making appearances with Jesse Jackson (Sr &/or Jr) one side and Keith Ellison on the other, a kind of “rainbow religion” theme. It’s not the fact that he hasn’t been completely honest with the public that is distrubing. It the allegation that he belongs to a religion that allows people to lie about it in order to advance the religion’s goal. Ever hear of al-taqiya? I first wish to commend the Senate for helping me head off a constitutional crisis, with their quick confirmation of the five new Supreme Court Justices who sit with us here tonight. The FBI and Capitol Police continue to investigate the circumstances which surround the tragic automobile accident that took the lives of Justices Alito, Roberts, Scalia, and Thomas when the Toyota Prius, in which the were carpooling, was T-boned by the SUV, driven by Justice Kennedy, on their way to my inauguration. Adding further to the tragedy was Justice Kennedy’s impalement on the SUVÔø?s steering column when the vehicle’s airbag failed to deploy. Justice Kennedy was not wearing his seat belt, a clear violation of law. The departments of Justice and Transportation are also investigating the auto manufacturers. As I promised in my campaign, we will always look for new and progressive ways forward and I believe that Bill and Hillary Clinton, serving as the first husband and wife team on the Court, demonstrates my commitment to that promise. I’m sure that Justices Souter, Ginsberg, Stevens, and Breyer, join their new associates, John Edwards, Dennis Kucinich, and Al Franken in wishing the Clintons well as Co-Chiefs. My fellow comrades, I have been informed by the NSA, as authorized by FISA, and other intelligence gathering agencies of the government, that there is considerable telephone and internet traffic suggesting a possible conspiracy in the death of the Supremes. It is imperative that this cease now. The executive orders which I issued to the FCC, under the “Fairness Doctrine” to halt “Talk Radio’s” sedition could be extended to individuals if we don’t get refocused on our two global emergencies immediately. I outlined in my inaugural address that my administration will focus on two issues and two issues only: global warming and full global employment. I am again grateful to Congress and to Speaker Pelosi for shutting off debate and passing the enabling legislation quickly so that we can begin tomorrow morning. The “Full Employment” treaty with the United Nations, which the Senate ratified yesterday, coupled with congressional passage of the “Full Employment” bill will once and for all bring peace and prosperity to the entire globe. Key components of the treaty and legislation consist of: elimination of the minimum wage,establishment of a 40% flat income tax, without exemptions, for all non-government employees and the establishment of a non-partisan commission to set government employee’s pay rates. Replacing the private sector minimum wage is a maximum wage that will be initially set at $11.00 per hour. This rate will be locked in until we reach full global employment. The first mission of the Ôø?global program directorÔø? is to implement the measures required to halt “man caused” global warming. All fossil energy consumption will be reduced by 50% by year end 2010. The second mission of the GPD is to contract for the construction of the necessary infrastructure to stop global warming. My GW Czar, Al Gore, will advise the GPD and their UN counterparts on the surface and sub-surface projects which will be required. Czar Gore has informed me that along with the cuts in fossil fuel use and rapid construction of wind and solar projects, coupled with the behemoth projects to cap continental and sub-ocean volcanoes, we can whip this global warming thing by 2020. Comrades, my predecessor, George W. Bush warned you that the war on terrorism would be long. Well, the war on global warming may be long too. But with brothers and sisters, of all faiths, busy shoveling rocks into volcanoes, isn’t it great to know that thereÔø?s no time for killing. I really feel good vibrations here. I know that you’ll sleep better tonight knowing that we’re here looking out for you. I would ask for your consideration on one matter. Due to the security concerns of the office that I hold, I need to be exempted from this fuel reduction thing. I need Air Force One and my bullet proof customized Navigator. What a scenario! Ponder this thought, the Romans warred with each other many times because they knew that killing your enemy was the only way to be victorious. Sometimes, spilliing blood will be necessary even for a civilized country like USA in order to preserve the essence of what our Founders set forth. “How dreadful are the curses which Mohammedanism lays on its votaries! Besides the fanatical frenzy, which is as dangerous in a man as hydrophobia in a dog, there is this fearful fatalistic apathy. Improvident habits, slovenly systems of agriculture, sluggish methods of commerce, and insecurity of property exist wherever the followers of the Prophet rule or live. A degraded sensualism deprives this life of its grace and refinement; the next of its dignity and sanctity. The fact that in Mohammedan law every woman must belong to some man as his absolute property-either as a child, a wife, or a concubine-must delay the final extinction of slavery until the faith of Islam has ceased to be a great power among men. Miss Debbie is absolutely right. All of you, Americans, that slide by with the idea that a reliligion is a religion, SHOULD research islam. It is NOT a religion – but a death cult! Why even in critizing them or protesting their behavior, they riot and kill others, claiming that their “sensitivities” have been stepped on! Once a moslem ALWAYS a muslim – there is no getting out of it. Like a roach motel. And I wonder with all the Black people – educated and capable,and brought up in our culture, why Obama? Who is really NOT part of our own society and culture! The moslems know him as one of their own, for should, they’re going to pressure Obama to comply to their demands – even resorting to threats. That is what the islamics do elsewhere. At any rate, I am completely against islam JUST on the evidence of the way they treat their women – POW’s born behind the Lines. I am a woman, and I – for one- am AGAINST ISLAM. And you people, are NOT going to browbeat me! I think its amazing that this guy actually got elected to the Senate in the first place. Didn’t the good people of Illinois do any research before casting their vote. First with a Muslim last name and possibly first name didn’t that raise any red flags. What the American people need to do is demand that he say who he is and what he believes and maybe even demand a polygraph as well since it looks like he may have tried to lie about his past. The Islamic religion allows for lying when the end justifies the means this is historic going back to the original prophet back when he overthrew other groups. Also even the words used have different meanings. Like the word “Peace” is to the Islamics when they are in universal control of the world and all are under the Islamic Shariah law. Let’s get the truth out of this guy and not allow him to trick and deceive the American people no more Political Correctness please. He needs to be asked very tough questions especially in light of the war in Iraq and the Muslim’s declaration of war on the west. On the one hand you are having a governor whose father was a nazi, but on the other you are fulminating against a would-be president whose father was, oh my, a muslim. And Romney’s a closet muslim too. Take out the “uslim” and put in “orman” and what have you got! At least according to my sources at Insight magazine. Many people fulminated against the Governator for his parentage. He was elected anyway. Many fulminated against President Bush for being (gasp) a devout Christian. He was elected anyway. Obama’s muslim schooling is a legitimate subject for fulminating. Besides, in the US, we are entitled to fulminate against ANYONE for almost any reason. Its called freedom of speech. Perhaps, you are unfamiliar with that in PC Belgium-istan. Clearly Obama IS an islamic Trojan Horse the same as Hilary and every prominent democrat “loudmouth” are “stalinist” Trojan Horses. Each one seeking to be the next in line to “sell out” the American people as Bush is doing now and carter and clinton did previously. It’s cool to see those (increasingly rare) moments when Debbie shows she can be objective and credit agreement on something with someone who would otherwise be political anathema to her. I was waiting to see the day when she would actually agree with Hillary on something since they are not too far apart on issues like this (though they certainly are on others). Nice to see, Deb, I’m waiting for the day when you do the same with Joe Lieberman (likely) and Chuck Schumer (less likely, but not impossible since he has similar views on terrorism). (Though ironically this shows the problem Hillary will probably have in the election; just as many consider her “too conservative” as they do “too liberal”, an interesting paradox. US News and World Report did a poll asking people which past president they would most want to see in office today, Reagan and FDR almost tied for first (Reagan was slightly ahead), JFK was third. Then they asked which current potential 2008 candidate is most like the past one they most want to see in office, surprisingly Hillary was the answer most given with the FDR crowd, but so was she with the Reagan crowd (many of the Reagan answers were probably from those who were “Reagan Democrats” in the 1980’s…..by the way the JFK crowd chose Obama). It’s like the mid-1970’s TV Guide poll in which Howard Cosell was both the most liked and most hated sportscaster. AS YOU POINTED OUT, WHEN IT COMES TO ISSUES LIKE EXTREMIST ISLAM AND CAIR, SCHUMER AND I ARE ON THE SAME PAGE. RARE, BUT IT HAPPENS. Hillary doesn’t care about Obama’s muslim background, but raising this issue is an easy way to kneecap an opponent. If it was to her advantage she would be covering up Obama’s heritage. Obama was elected when dirty tricks exposed the sexcapades of his opponent, Mr. Ryan, who was also the favorite. Recall that the wife, promient actress Jeri Ryan. Ryan was shown to be a sick puppy, and promptly dropped out of the race. From that point, it was a cakewalk for Obama. What still disturbs me is Obama’s dealings with a shady Syrian “businessman” in Chicago, and potential involvement with the son of Nation of Islam founder Farrakhan. OK, time to issue a correction…Insight article has been busted as false. Damn the facts Sunny K, this One Trick Pony won’t let reality get in her way. It’s almost like she WANTS Republicans to become a laughing stock. CNN is claiming to have ‘debunked’ the Madrassa claim. Any comment on this Debbie? Personally I belive Debbie’s report. Sure, the place may not be a Madrassa today – but 35 years ago…? In his autobiography Mr. Obama admits, his Indonesian stepfather (Soetoro) was a non-practicing Muslim. However, ‘non-practicing’ Muslim only means that one does not pray five times a day. It does not at all mean that one is opposed to Islamic terrorism and/or other radical Islamic teaching. The truth is, most Indonesian Muslims, no matter whether ‘moderate’ or ‘extremist’, actually sympathize with the Islamofascist terrorists, jubilate to their ‘victories’, and consider Osama bin Laden as a hero against a common enemy, the infidels and their secular culture. The CNN video report on Sen. Obama’s Indonesia school ‚Äòhttp://www.youtube.com/watch?v=S-kPCCog0BY&eurl=‚Äô does not show any interview of the school children, their teacher, the Deputy Headmaster Mr. Priyono, or Obama’s former schoolmate, Mr. Winadyanto, whether or not they regard Osama bin Laden a terrorist. As an insider and expert in Indonesian Muslim community, I can assure that those people, if interviewed, will appreciate Osama bin Laden as a hero. Senator Barack Hussein Obama’s background is OBSCURE, not ‘clean’ as some liberal media would like to present him to the American public. The majority of Americans suspect that Obama is a ‘closet Muslim’, i.e., a Muslim who is concealing his Islamic faith according to the notorious al-Taqiyya tactic, while waiting for a good opportunity (i.e., as soon as he enters the White House) to defeat his enemies, i.e., the infidels, by their own rules. To achieve this hypothetical purpose, Mr. Obama lied to the American people to conceal his true background. Since recently, some of his lies have been exposed in many blog websites. For example, his contention that his Kenyan father was an atheist by the time he met his mother, Ann Dunham, is an obvious fabrication. How come that an atheist and Islam apostate like his father would ever name his first-born son Ôø?BarackÔø?, which is NOT an African name, but an Islamic/Koranic name, meaning ‘blessed by Allah’? Mr. Obama’s contention of being a Christian is as incredible as his other lies. Christian faith is not proven by mere church membership, such as the Trinity United Church of Christ, but by public confession of accepting Jesus Christ as savior, and further, by admission of the Holy Spirit as a guide through oneÔø?s life. Thus, our best Litmus Test is: If Mr. Obama eats pork, we may trust his words that he is not a Muslim. However, if Mr. Obama avoids eating pork, then he is a true Muslim in his heart. The fact that he tries to conceal his Muslim identity (as commended by the well-known Koranic ‘al-Taqiyya’ tactics) makes him a dangerous undercover enemy to all Americans. Another outstanding Karl Rove tactic. Bravo, Karl for dragging this country into the sewer of political attacks. 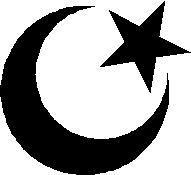 Thee_Bruno – It’s spelled Muslim, by the way. Additionally, it’s really none of our business what religion he is, as long as he doesn’t let it affect the way he does business or enforces policy. We can see from his record in the Senate that he does not. He has a thorough grounding in the legal system of the United States, and that is MUCH better than many politicians. “MomentOfTruth” – To be fair, pork is disgusting. Pigs eat their own feces. I don’t eat pork, but I’m not Muslim or Jewish. It’s just not healthy. Also, his father might have named him Barrack because that’s a name he is familiar with or thinks sounds nice. For example, plenty of non-Christian parents name their children Peter, Paul, Mark, Luke, Matthew, Mary / Maria, and so forth. It’s just a name. It would look far worse if he chose to change his name, wouldn’t it. I’m with Dkinla- extremists, if you care to do any research, are only the loud minority. Kind of like facist Republicans like most of you. The only Muslims we need worry about are nationalists in Iraq and the transnationalist jihadi minority everywhere else. Read. Minority. Additionally, how much did Mr. Obama really take to heart between the ages of six and ten years? Honestly. I barely remember being six, and I’m not very old, yet. ABC News looked into all of this awhile back, including visiting the school in Indonesia that was supposedly a muslim school. It turned out that there was no truth to any of this and it was an urban myth started on FOX News (no big surprise). He is named after his father who died when he was very young, period. Besides, as someone else said, even if he had been raised muslim in elementary school, what difference does that make? Many people go to Catholic schools K-12 and do not grow up to be practicing Catholics or in any way identified with that faith. I continue to be discouraged by the lack of depth and tolerance among some of our citizens – an ignorant public is the true danger to a healthy democracy. I’ve seen no proof, no evidence, that Obama was once a muslim. BTW, his muslim father abandoned his mother when he was an infant. His mother and her parents (who later raised Barack) were not muslim. It’s true in the view of islam, you can’t become an ex-muslim, and if you do, you have to be killed. On that basis, they’ve killed countless Christians over the centuries. That, however, does nothing to prove that Obama is not a devout Christian. Get facts to back it up before you accuse BHO of being a muslim. BTW, have you read his two books? I haven’t either, but then I’m not shooting off my mouth about what Obama believes. This is such an important topic, I wish more people would write about it, and not just spam other people’s ideas. Researched content is hard to find on the Internet these days.